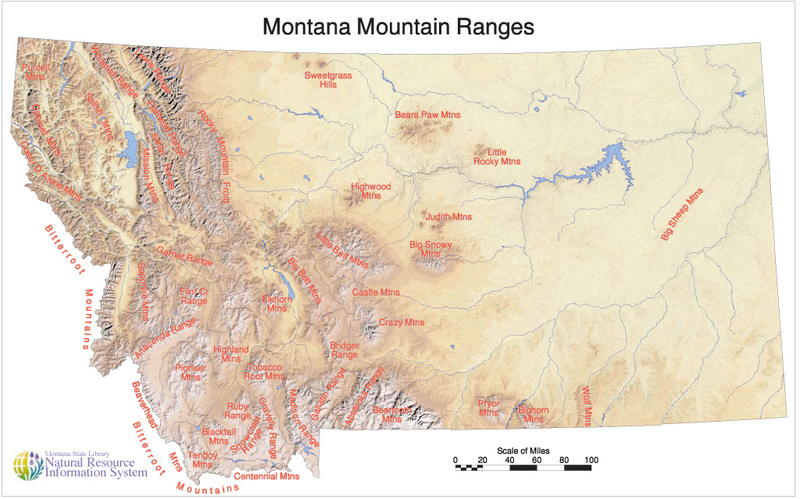 Montana is a very large state with many fantastic mountain areas. Likely the most famous is Glacier National Park in the far northern reaches of the state however the Beartooth Mountains in the southern part closer to Yellowstone National Park may be some of the least traveled parts of the state. The list shown below is a description of the 12,000 foot peaks in Montana, all of which are found in the Beartooth Mountains. A detailed description of the Beartooths can be found on the namesake page on my site. They have a very interesting geological history and have been shaped extensively by glaciers. None of the rugged valleys and peaks we see today in the Beartooths would exist without the work of glaciers. 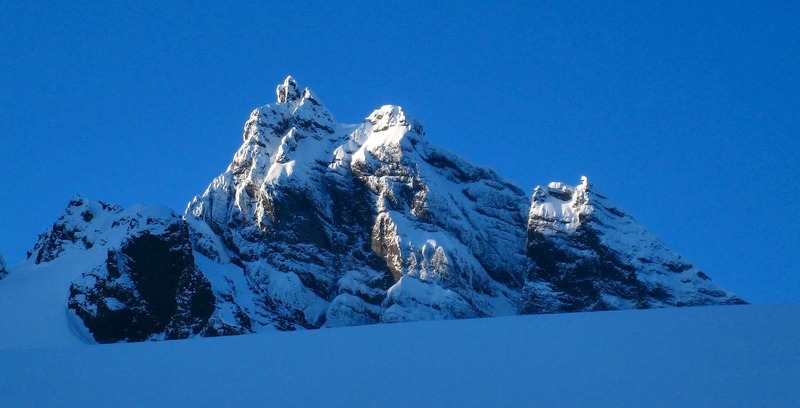 Remnant glaciers still exist today with the Grasshopper Glacier being the most famous. The highest peak in the state, Granite Peak, is found here and is often regarded as the most technical state highpoint outside Alaska due to the difficult nature of the rock climbing needed to successfully climb the peak. Other mountain chains in Montana include the Bitteroot Mountains on the Idaho/Montana border. These peaks are a very long but thin mountain chain with Trapper Peak being the highest at 10,157 feet in elevation. Another great mountain chain located just west of the Beartooth Mountains is the Montana Absarokas and are sometimes referred to as the Western Beartooths. Iceberg Peak and Wolf Mountain are located here. There are many great small towns in Montana that any mountain lover could call home including Red Lodge, Kalispell, Missoula, Helena, Butte and Great Falls. Live here is different and this state should not be missed or overlooked. Welcome to Big Sky Country! Below is the list of all the Montana 12,000 foot peaks with at least 300 feet of prominence. There are not many people who have completed this list. 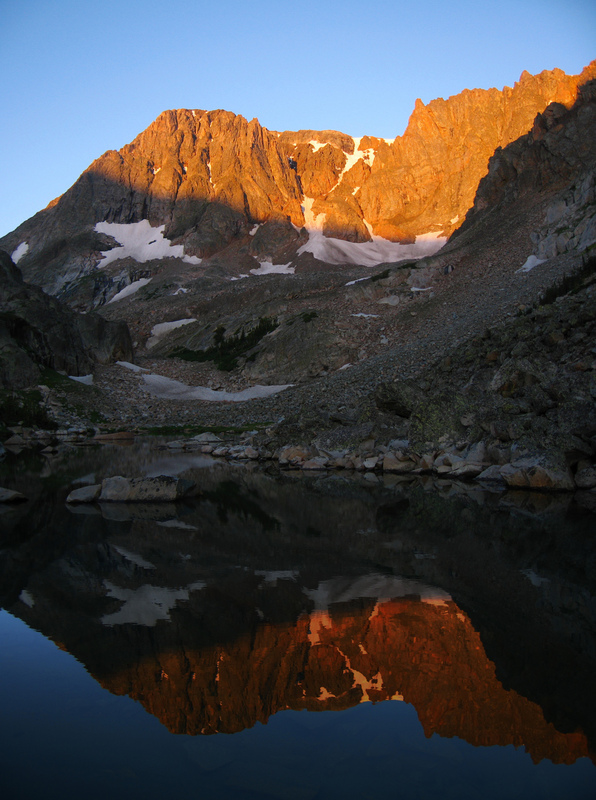 All the peaks are very remote and located within the heart of the Abasorka-Beartooth Wilderness in the Beartooth Mountains. Depending on who you talk to there are either 26 or 27 peaks on this list. There is a lot of uncertainty to whether the Villard Spires are at least 12,000 feet nor is it known whether or not they are ranked since the USGS Quad for the area had words covering this area (See below). 2 Point 12,745 Located just west of Granite Peak and connected by a difficult serrated 5th class ridge. 12,745 feet in elevation with 325 feet of prominence. Easiest route is the west slopes from Storm Lakes although there are many other routes. 3 Mount Wood The east summit is slightly higher despite the label on the USGS Quad. 12,660 feet in elevation with 2,880 feet of prominence. This peak has many routes on both the north and south sides however bushwhacking is involved on all of them. 4 Castle Mountain Highest peak in the Castle Group. 12,612 feet in elevation with 2,672 feet of prominence. 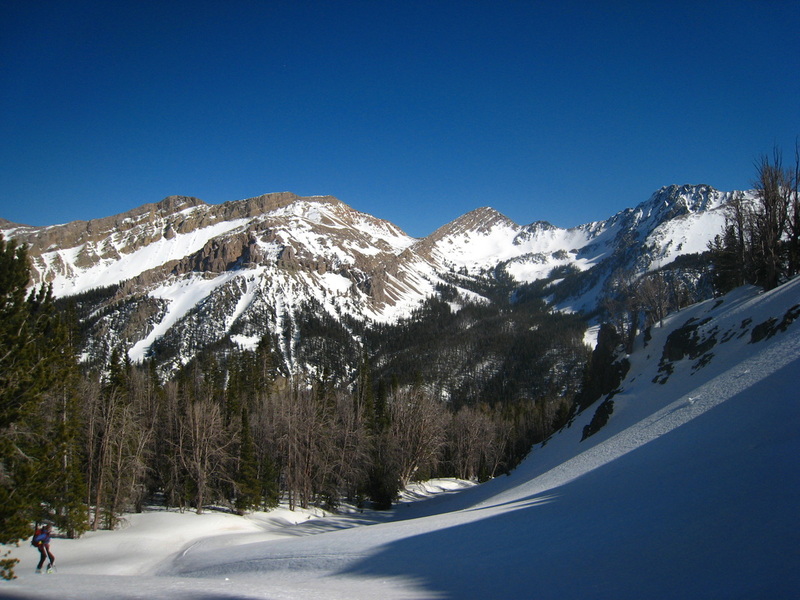 The easiest route is the south slopes however the NE Couloir makes a great snow climb. 5 Whitetail Peak One of the most aesthetic peaks of them all. 12,551 feet in elevation with 1,291 feet of prominence. The easiest route is the 3rd class NE ridge from Sundance Pass however the North Couloir is one of the best lines in the state. 7 Point 12,540 One of the most confusing peaks in the area, it is not Castle Rock Spire but the peak just to its west. 12,540 feet in elevation with 440 feet of prominence. The 4th class west ridge is the easiest route and likely the only feasible one without big wall climbing. 9 Mount Peal Located just east of Tempest, this peak has great views of Granite Peak. 12,409 feet in elevation with 409 feet of prominence. Easiest route is the east snow slopes from Phantom Lake. Other routes are known as loose gullies with killer blocks looming above. 10 Castle Rock Mountain Located just west of Point 12,540, this peak is an easy ridge walk away although a long approach. 12,401 feet in elevation with 501 feet of prominence. Easiest route is the 2nd class east ridge however the west ridge is also pretty easy. 11 Beartooth Mountain Namesake mountain of the whole range, this mountain actually towers above the Bears Tooth for which the range is famous. 12,351 feet in elevation with 1,491 feet of prominence. Easiest route is the 3rd class SW ridge but this is a long climb. Climbing the Bears Tooth is one of the hardest alpine towers in the 48 states. 12 Bowback Mountain Named for the distinct bow-like shape on the peak, this one is seldom climbed. 12,351 feet in elevation with 731 feet of prominence. Easiest route is the north ridge from Dude Lake. 13 Mount Villard Located at the western part of the Beartooth core, this peak is actually overshadowed by the controversial Cathedral Spires. 12,345 feet in elevation with 845 feet of prominence. Easiest route is the 2nd class south face from Upper Aero Lake. 15 Mount Hague Located at the north end of the range, this peak is one of the three northern 12ers. 12,323 feet in elevation with 1,223 feet of prominence. Hard to access but most routes are 2nd class. Try the Hague/Wood traverse for some fun though. 16 Spirit Mountain Located at the southeast end of the range, this peak has quite a history, notably with its naming. 12,283 feet in elevation with 783 feet of prominence. Easiest route is the 2nd class south snow slopes however its beautiful and very steep NE couloir is rarely done. 17 Sundance Mountain Just across the West Fork from Whitetail Peak, this flat topped mountain has a quaint feel. 12,262 feet in elevation with 602 feet of prominence. Easiest route is the 2nd class south slopes from Shadow Lake but the traverse from Bowback is a fun little scramble. 18 Darlene Mountain This one is just west of Castle Rock Mountain a stones throw away. 12,250 feet in elevation with 390 feet of prominence. Easiest route is likely the 2nd class traverse from Castle Rock Mountain. The north slopes hold snow late in season for good snow routes though...just have to get to it first. 19 Cairn Mountain Great views of the Cathedral Spires, this peak is rewarding indeed. 12,220 feet in elevation with 880 feet of prominence. Easiest route is the 2nd class west slopes from Aero Lakes. 21 Pyramid Mountain This is the third peak of the northern trio. 12,119 feet in elevation with 339 feet of prominence. Easiest route is the 2nd class traverse from Mount Wood. 22 Forget Me Not Mountain This hidden peak lies between Beartooth and Spirit Mountains. Don't forget to do it! 12,115 feet in elevation with 415 feet of prominence. Easiest route is the 2nd class traverse from Spirit Mountain. Peer over the north face while you're at it too. 23 Mystic Mountain This peak lies just west of Granite West Peak. 12,100 feet in elevation with 560 feet of prominence. Its easiest route is the 2nd class north ridge. Traverse to Granite West though for fun 3rd class scrambling. 24 Point 12,090 This peak is north of Castle Rock Mountain and always overlooked. 12,090 feet in elevation with 310 feet of prominence. Easiest route is the 3rd class traverse from Castle Rock Mountain. Routes from Whirlpool Creek can be done as well. 25 Snowbank Mountain Farthest from any road or trail, this peak is the hardest to access of all the 12ers. 12,084 feet in elevation with 864 feet of prominence. Easiest route is the 2nd class south slopes from somewhere but north side snow routes have been done. 26 Sky Pilot Mountain Located right in the heart of the high Beartooth Mountains, this peak has superb views. 12,047 feet in elevation with 587 feet of prominence. Easiest route is the 2nd class south ridge from Crystal Lake. Try the north ridge from Omega Pass for a technical thrash. 27 Villard Spires HP The Villard Spires are the formidable looking towers to the south of Mount Villard. It's not 100% known if they breach 12,000 feet but the highest tower is close enough to include on this list. The Class 3 west ramp is the only non technical route up and features a wildly exposed narrow ledge! So what's the deal with the Villard Spires. Lets start with the name. I've heard Cathedral Spires, Villard Spires and just the Spires! I don't know which one is correct. Now lets go to their elevation. The USGS Quad for this area shows an 11,848 foot benchmark on the southern tower but by looking carefully, the tower to the north (center tower) might have a 12,000 foot contour but its so hard to tell since the "I" and the "R" and the "E" from the word "Spires" on the map obstruct it...not to mention the lines are so close together since its basically a vertical cliff. So lets just say it is a 12,000 foot peak you still have to determine whether or not it is ranked, that is having at least 300 feet of prominence. Well, Mount Villard is the closest higher ranked peak so that's the parent. Can you find the saddle? Take a look at THIS map and see for yourself. If you do manage to find the saddle can you count the contour lines between it and the highest point of the Cathedral Spires? I've tried but just can't get a definite answer. Lets talk to some locals now shall we? I spoke with a few people in Red Lodge who have climbed all the ranked 12,000 foot peaks in Montana and none of them climbed the Cathedral Spires. Even the two guys who went the extra effort to climb the additional 8 peaks that are not ranked (most of which have less than 50 feet of prominence) didn't do the Cathedral Spires. 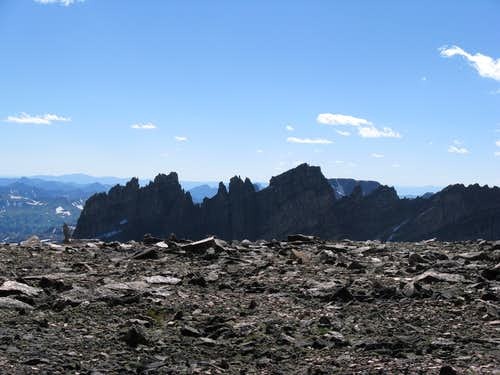 They all stated "nah we concluded they don't rise to 12,000 feet"
Note: On August 10, 2014 I climbed the high point of the Villard Spires and included them on this list.